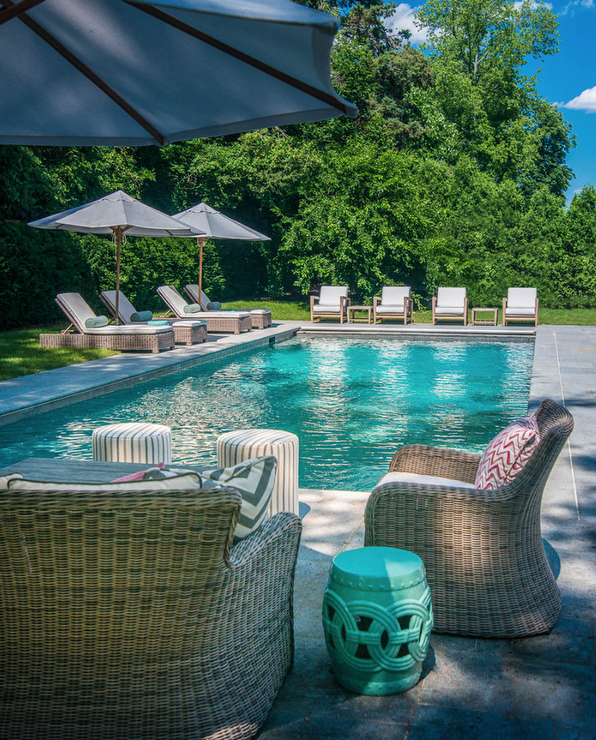 Summer Days are on the way and its time to create your own poolside resort at home. 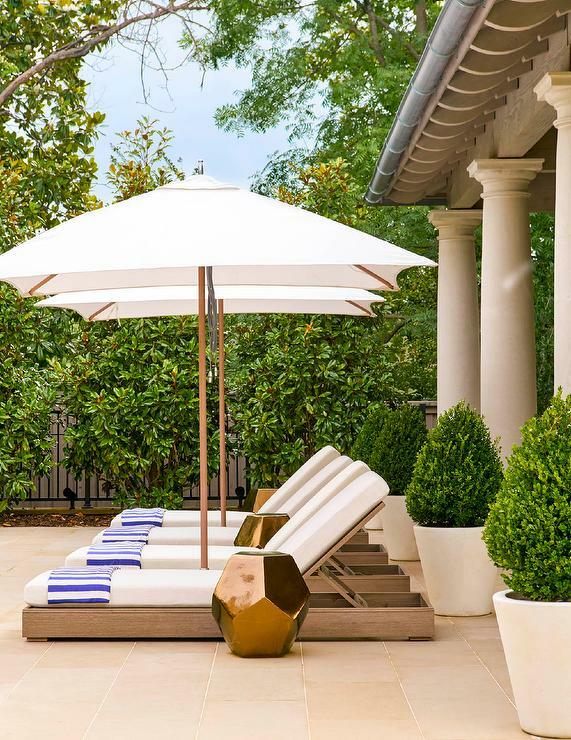 If you are looking for a new sun lounge for your outdoor area, today I have some beautiful poolside inspiration and where to find the perfect sun lounge. Sun lounges are available in a few different materials and styles. Check the material your sun lounge is made from and make sure that it will be able to stand up to the outdoor weather elements. Here are a few things you should consider before buying your sun lounge. A portable light weight lounge that can easily be moved around. The style of your sun lounge. Made from weather proof and durable material. Padded cushion in outdoor fabric for comfort. 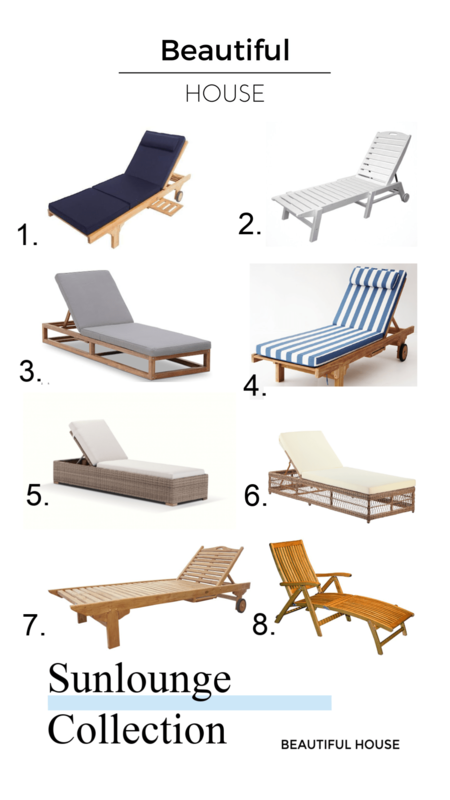 Teak is a popular outdoor furniture choice for being able to endure outdoor summer conditions. If you have a windy backyard space you may want to consider a heavier material such as a teak sun lounge so it won’t be blown around. I love a row of sun lounges lined up alongside the pool. In the picture above they have added a side table, cushion for comfort and a simple striped beach towel to give their poolside area a resort style feel. 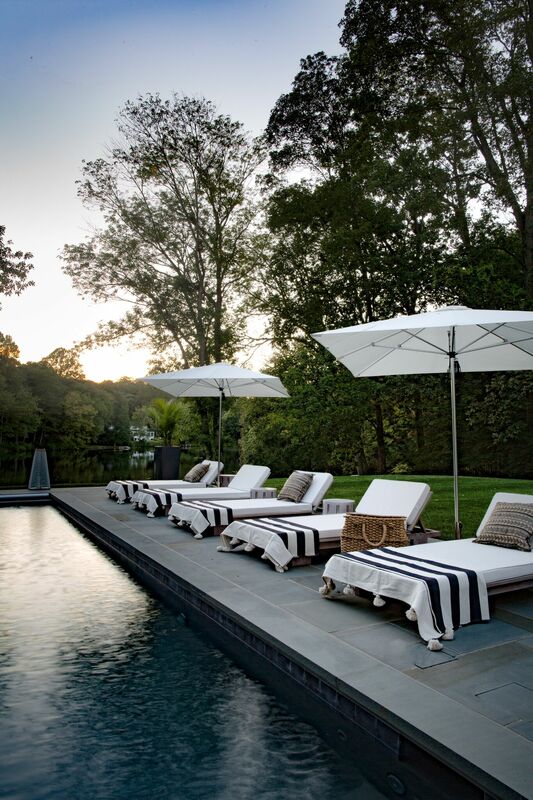 There is now a wider collection of outdoor fabrics available that are capable of standing up to the outdoor elements. At the Cushion Factory they let you choose your fabric and design your own outdoor cushions for your sun lounge. There are many sun lounges to choose from, here are just a few you might like and where you can find them. We are always looking for new ways to enjoy long summer days in our outdoor living space and to maximise the potential of a poolside area. Relax by the pool and holiday at home with your new sun lounge.